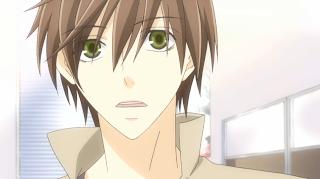 We continue our look at the newest anime shows for Spring 2011 with Sekai-ichi Hatsukoi, an anime based on the boys-love manga written by Shingiku Nakamura (Junjô Romantica). Meet Ritsu Onodera, a twenty-something editor who would rather be reading literature. His own complications at his father's publishing company has forced him to hunt for work elsewhere, and even though shôjo manga is completely outside of his comprehension, he goes to work for Emerald Publishing, only to be swept up in a department with a split personality. The first day he finds the department obliterated by the harsh "cycle" led by chief editor Takano, who thinks so far outside of the box that he actually kisses Ritsu to demonstrate to a female mangaka the best angle for a scene. 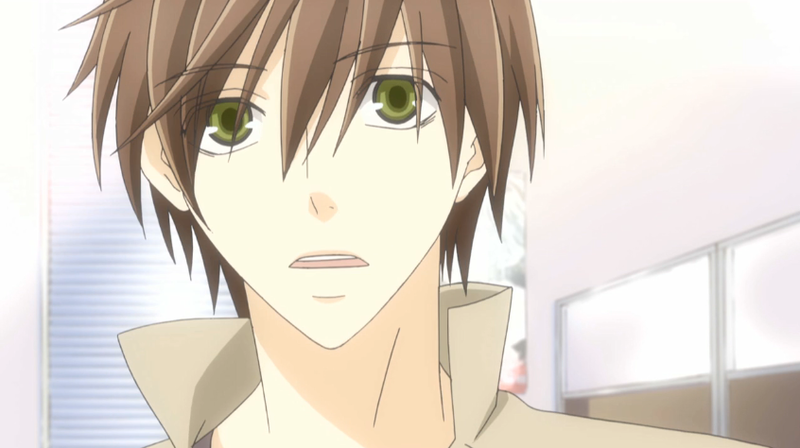 Even after settling down and meeting the other employees, there's still this odd tension; Takano seems to know Ritsu from before. Of course, it's pretty obvious that they had a thing in high school, Ritsu's flashbacks rife with his feelings for his "sempai", but Ritsu's bitterness at his job and his new boss clouds his mind. There's no doubt the next few episodes will be easy to process as realization between them dawns, but can Ritsu handle the job? 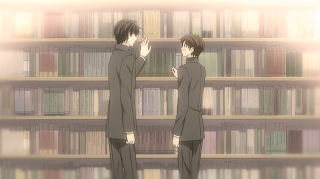 Sekai-ichi Hatsukoi (World's Greatest First Love) may be a boys-love story, but it's certainly trying to show the ropes regarding manga at the same time, explanations regarding panel display and tone scattered amongst the drama and comedy. While the story does center around the love-hate relationship between Takano and Ritsu, the supporting cast looks like it will help the plot with timely bits of comedy. There are some concerns about how this show might last 13 episodes, but it's a decent start. The animation style coming from Studio DEEN fit the adaption of Nakamura's last manga Junjô Romantica, so it's only appropriate that they get the reins for this show. Crisp animation is used for the serious scenes, and the comedic scenes are treated lightly as well. However, the show's strength lies in its construction, as the episode is paced out well with proper dispersion of drama and comedy. We're not flooded with dewy romantic scenes that are interrupted by slapstick. While the characters may seem average for a boys-love anime, I tend to think that more attention was put on the details regarding their situations and designs. Expressions are grainier when the characters are tired, circles under the eyes not mysteriously vanishing during the scene. In short, these characters are rather believable, even if the idea of forgetting one's first love is not. Character designer Yôko Kikuchi's a twenty-year pro at this, so I give her credit for developing stable designs. The opening and ending themes do their job at giving the show energy in the beginning and turning the volume down at the end. The acting is done properly without many signs of overacting or overreacting. A decent job from producer Hijiri Anse. I honestly didn't see this show coming, but Nakamura and Studio DEEN do have a history of success together. 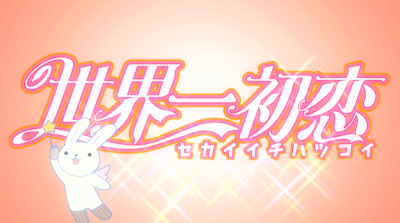 It's also good to see that Chiaki Kon has been retained for work with the two again, as she has directed some good shows along the way (When They Cry, Otome Yôkai Zakuro). Perhaps the marketing kept the show hidden, because it has some power behind it. 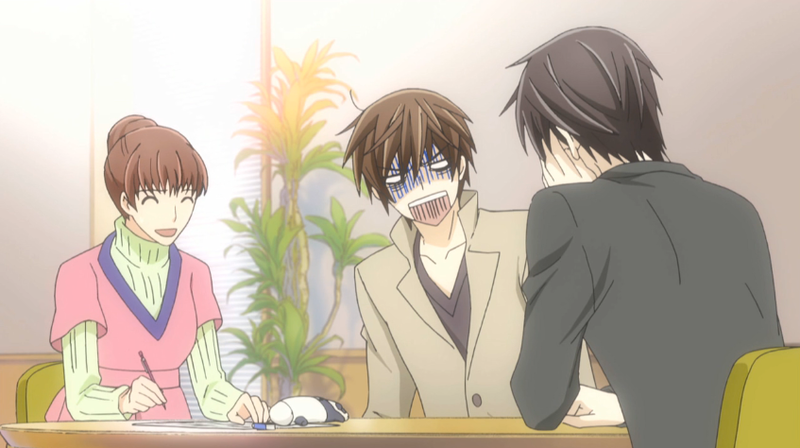 It may make a boring pentagon, but Sekai-ichi Hatsukoi is a show that defines a good start. There are no real flaws in animation, design, soundtrack or acting, and there's also nothing that completely entrances the viewer. 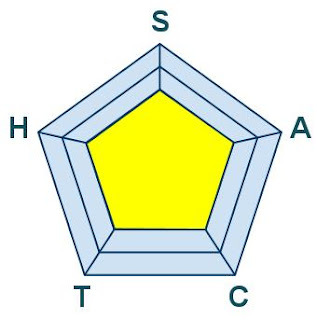 It belongs somewhere in the middle of the spectrum and has the capability to impress later on. More importantly, it looks like the show may not completely focus on one couple, as indicated by the opening animation, which could either give more material or over-season the show by drawing away from the main couple (see: Kare Kano). Overall, it's anyone game as to how this show does, so Square One doesn't look bad right now.